Have A Question About Your Credit Reports? Get the answers to the most common questions below. If you can't find your answer, please do contact us for help. Questions About Your Credit Reports? When you apply for credit facilities, banks and financial institutions often verify your status with credit reporting agencies like CTOS to provide them with your credit history to help them evaluate your application. Likewise, individuals and businesses can turn to CTOS to check and monitor their own credit profiles and that of others before committing to important financial decisions. What information is in a MyCTOS Report? 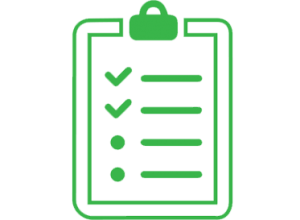 A CTOS Self-Check Report is comprehensive, detailing identity verification, business exposure, directorships and business ownerships. It also contains details of legal actions, case statuses as well as bankruptcy information. Finally, the report also includes subject’s comments (if applicable). Where does CTOS get the information from? How can I get a MyCTOS Report? You would first need to register in order for you to obtain your CTOS User ID. Once your CTOS User ID is activated, you can access your report at anytime over the Internet or via the CTOS smartphone app. You can get more details and register by visiting our MyCTOS page – click here. Does CTOS decide whether to approve my loans and credit applications? No. CTOS only provides credit information to our subscribers. Any decision regarding the approval or rejection is done by the lenders themselves. My loan has just been rejected and I was told it is a CTOS issue. Why? There might be something in your Credit Report that needs your attention. You would need to obtain a CTOS Self-Check Report to ensure your information is accurate and up to date. What if the information in MyCTOS Report is wrong? What can I do? It is your right and responsibility to update the information in your CTOS Self-Check Report. All you need to do is contact our customer service representative at 03-2722 8833 or sarus@ctos.com.my and explain your concern. The officer may require you to provide documentary proof of settlements or conclusions i.e. letter of discharge, settlement, court order striking off the case etc. Upon receipt of these documents and insert the relevant remarks. This service of updating your record is free of charge. You will also receive a free report following this update. I've been informed that I am blacklisted by CTOS. Why? Contrary to popular belief, CTOS does not blacklist people or companies. CTOS only provides credit information to its subscribers. In fact, CTOS does not provide opinions or recommendations. What if I'm still being rejected even after updating my record? I was rejected by one financial institution. Will the others do the same? Banks and financial institutions have their own set of lending policied and take on different levels of credit risk. An application rejected by one may be acceptable to another. However, undischarged bankrupts and wound-up companies will unlikely get loans approved regardless of which financial institutions they approach. Can I prevent Credit Reporting Agencies from keeping information about me? No, you may not. Credit Reporting Agencies are legally empowered by the Credit Reporting Agencies (CRA) Act 2010 to collect and obtain information about you. Can I delete my CTOS record? Records can be removed in cases of fraud and mistakes with valid proof from you. Under the requirements of the Credit Reporting Act, cases which have been settled for more than 2 years will no longer be reported. What if the cases against me are in progress or have not been resolved? In cases like this, you have an opportunity to provide comments in order to share your side of the story. CTOS has a feature called, “Subject’s Comments” which allows you to provide explanations regarding any records in your CTOS report. You can download the “Subject’s Comment” form – click here. How long will the record stay in my credit report if I have settled my debt? Your record will stay for another 24 months from date of settlement, as this is permissible under the CRA Act 2010. After that, it will not be disclosed in your credit report. Do you need my consent before you disclose my report? Yes. The CRA Act 2010 stipulates that your consent is required before any CRA can release your report to third parties. The consent will be given to a CRA via the consent form/application form by the credit grantor. Do I need to pay for a MyCTOS Report? Upon activation of your CTOS User ID, one FREE copy of the report will be sent to you. All verified users will also receive a FREE MyCTOS Report in January and July. There’s also a free notification service that alerts you of any changes in the litigation record(s) on your report. The CTOS Score is a credit score for individuals that provides an evaluation of a consumer’s credit risk. The score is presented in the form of a 3-digit number ranging from 300 to 850. The higher the score, the lower the credit risk. What are the benefits of having your CTOS Score? A good CTOS Score can work in your favour by increasing your chances of getting approved for loans and new credit. A good credit score increases your creditworthiness in the eyes of banks and lenders. Knowing your score will tell you where you stand when it comes to credit health; you can then take measures to improve your score, especially if it falls in the lower range. 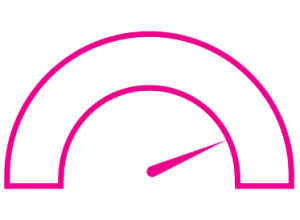 Scores can be delivered instantaneously, helping lenders speed up loan approvals. Many credit decisions can be made within minutes. Even a mortgage application can be approved in hours instead of weeks for borrowers who score above a lender’s “score cutoﬀ”. Scoring also allows retail stores, Internet sites and other lenders to make “instant” credit decisions. If you are having trouble with debt or managing your finances in general, knowing your score can really help. With the CTOS Score, you will know what your credit health is like, and can then make decisions accordingly to manage your debt and plan your finances better. Once you go through the detailed information in your score report, you will have a better idea on where to start and what is bringing your score down the most. If you are planning to apply for a loan or any other types of new credit, you should know what credit information banks and lenders can see about you. 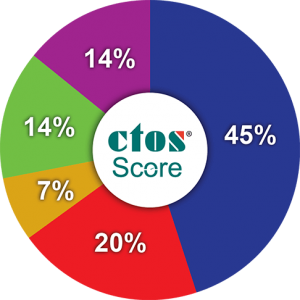 Your CTOS Score is a good indicator of whether you will be eligible to receive new credit, and if you are, how fast you will be likely to receive it and at what interest rates. The use of a credit score gives lenders the conﬁdence to oﬀer you more credit, especially if your credit health is good and your score is in the higher range, as they now have more precise information on which to base their credit decisions on. When banks and lenders notice that you have a good score, they will be more inclined to oﬀer you more credit and in some cases, perks and beneﬁts like lower interest rates on repayments. When you apply for new credit, you would want assurance that your application will be evaluated fairly. The CTOS Score will enable lenders to focus only on the facts related to credit risk, rather than their personal feelings. Factors like your gender, race, religion, nationality and marital status are not considered in credit scoring. How is CTOS Score calculated? There’s no quick or instant method to fix a credit score. It takes some time for any new effort you’ve made to improve your score. The best advice for rebuilding credit health is to manage it responsibly over time, and to be consistent. Re-establish your credit history if you had problems. Does the free report given by CTOS every year include CTOS Score? No. The free report only shows basic credit information. We encourage you to buy MyCTOS Score Report as it will contains your detailed credit information, which includes Banking Payment History (CCRIS & DCHEQs) and CTOS Score. Why is there no score in my report? For a CTOS Score to be calculated, your credit report must contain enough recent credit information. Will CTOS Score change over time? As the information in your credit report changes, so will any new credit score based on your credit report. Will it affect CTOS Score if my name is listed in a Trade Reference* record? *A trade reference is the payment experience information provided by a supplier, vendor, or business partner on its customer. Yes, it will affect your CTOS Score. Make sure to contact the trade referee for settlement in order to help improve your score. Is it important to build a credit history? Yes. Without a credit history, you may have a much harder time qualifying for certain credit products such as credit cards and loans. It’s essential to have a credit history, especially a one that reflects good credit behaviour, debt management and financial planning. If you’re a student or fresh graduate, you should start thinking about ways to begin building a healthy credit history – this will come in handy in future, especially when you need new credit or a loan for major financial investments such as purchasing property. Building a credit history takes some time, so it’s advisable to start as soon as possible. Why is my CTOS Score low? I have been paying my bills on time and have no credit issues. The CTOS Score is generally calculated based on information in CTOS’s database and CCRIS data. The score is mainly made up of five factors, which is your payment history, amounts owed, length of credit history, credit mix and new credit. However, there are various other factors beyond those mentioned above that could affect your credit score, either positively or negatively. Is my CTOS Score influenced by my income level? No, it is not. Your income level is not one of the factors used to calculate the score. Why is my CTOS Score different from other credit scores? We capture unique information that is not readily accessible by the other credit bureaus, or the same data element may be stored or displayed differently by other credit bureaus. 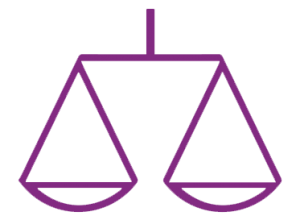 For example, we have the largest database of litigation records and trade references. Also, your CTOS Score is the only one in Malaysia based on the FICO® standard, which is the global benchmark for credit scoring. The abbreviation eTR stands for ‘Electronic Trade Reference’. A trade reference is the payment experience information given to CTOS by a supplier, vendor or business partner. How do I access trade reference information? If you would like to know more information about a specific trade reference listing, we advise you to obtain your latest MyCTOS Score report. You can get your MyCTOS Score report by registering for your CTOS User ID (CID) per instructions below. With CID, you can access your CTOS report instantly, be notified whenever CTOS processes any new information about you as well as enable us to contact you easily for matters related to your MyCTOS Score report or your CID. Smart Phone Registration (iPhone or Android): Log on to the Apple App Store or Google Play, then download the CTOS App and follow the instructions. Biometric Registration: Walk-in to any CTOS branch and let our officers assist you. Online Registration: Log on to https://ctosid.ctos.com.my with your IC number and follow the instructions. Send us a copy of your MyKad (both sides) for identity verification purposes. I have been listed under eTR. What do I do next? Please contact the trade referee directly to resolve the matter. The contact details are available within the last section of the report under “Referee Contact”. If you have never dealt with the trade referee before or you suspect that this could be a case of identity fraud, please contact the trade referee to seek advice on the next course of action. Alternatively, contact us immediately for assistance. CTOS is a government-registered Credit Reporting Agency (CRA) which is regulated under the Credit Reporting Agencies Act 2010. We are guided by the Trade Reference Guideline issued by the Registrar Office which came into force on 1st Jan 2018. How does CTOS ensure that eTR information is accurate? Subscribers who participate in sharing payment experience information (eTR) with CTOS are obligated to abide by the terms and conditions which they have agreed upon when they subscribed to CTOS’s service (Credit Manager). As per the agreed terms and conditions, subscribers must ensure that any trade reference information which is cited is accompanied by legitimate supporting documents (e.g. legal agreements, application forms, invoices, statements of accounts, identification documents such as MyKad or passport, delivery orders, purchase orders). Audits will also be conducted periodically by CTOS, and any subscriber found to have violated the agreement will either have their account terminated or be subject to legal action. 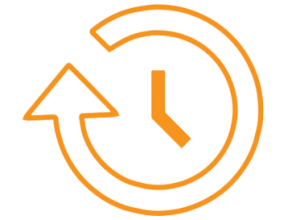 How long is eTR information retained? eTR information will be retained so long as borrower did not settle their outstanding debt or trade referee did not delist the trade reference. Trade referees are required to delist trade reference information within 3 working days upon settlement of the issue. What should I do if I’ve settled the outstanding amount but my name still appears in the report? The trade referee in question may have their own internal process (specific turnaround time) to delist trade references which have been settled. However, you may contact us directly to expedite the process. If the trade referee is not cooperative or is unhelpful, you may contact us for further assistance. How will being listed under eTR affect me? Lenders and credit grantors have different lending policies and risk appetites. 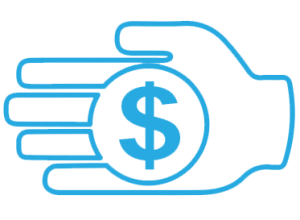 They make lending and credit-related decisions based on various criteria. 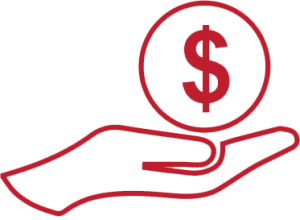 Loans are approved based on many factors such as purpose of the loan applied for, collateral information, total borrowing amount, past credit history and more. Trade reference information is about your past payment behaviour. As such, lenders and credit grantors may take this information into consideration during the credit assessment process, and this could affect your chances of getting your loan approved. Submit your question to us.